Through tears, Sony has revealed the official stance on the PSPgo: It's dead. Anyone that has strong feelings for the PSPgo might need to sit down for a moment. After recent signs indicated impending doom for the download-only handheld, Sony has officially confirmed that it's dead. Retails outlets will continue to sell their remaining stock, but once the system is sold out it'll be gone for good (aside from used sales). 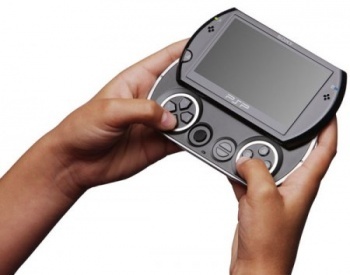 Sony told Japanese website AV Watch that the PSPgo will no longer be manufactured or shipped so that the company can focus on its next-gen NGP handheld. Sony will make its best effort to sell off the systems that remain in existence. The PSP-3000, however, remains popular especially in Japan thanks to titles such as Monster Hunter and will continue to be sold and manufactured. I wish I could say I was surprised. Everyone, even Sony, saw this coming a long time ago. Retailers called the PSPgo dead on arrival due to an exorbitant $250 price and the lack of a UMD drive. Sony did its best to bring gamers to the device, cutting the price to $199 in October 2010 and even offering free games with purchase, but it still didn't catch on. Sony itself admitted that the launch of the PSPgo was a failure, but still called it a success at the same time. With the PSPgo, the value just wasn't there for the price, something Sony talks a lot about now in regards to the NGP. On the plus side, anyone that owns a PSPgo now has a system that'll be pretty rare, but I'm not thinking it'll be much of a collector's item.